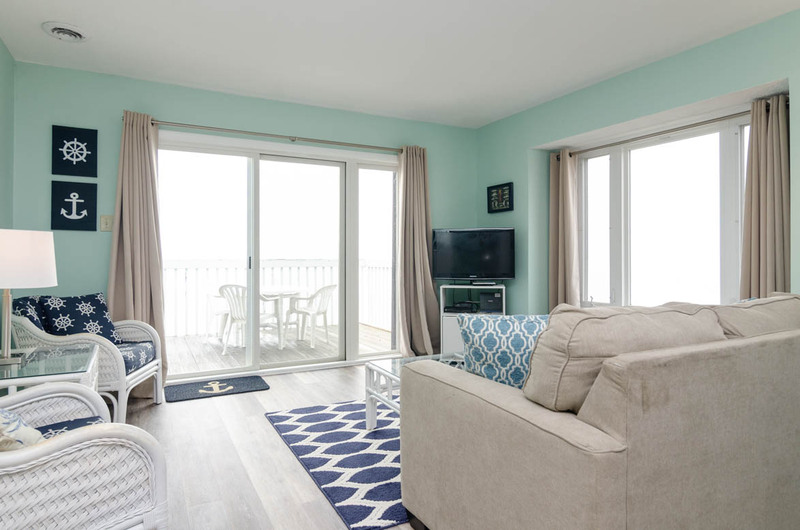 Oceanfront deck area accessible from both the living room and master bedroom. Dining and living areas. Oceanfront living room with sleeper sofa. Oceanfront living room with sleeper sofa. 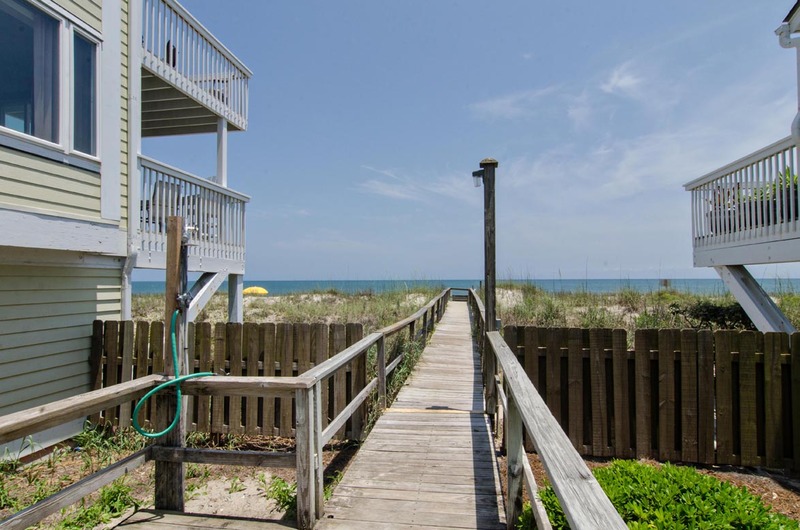 Oceanfront deck area accessible from both the living room and master bedroom. Deck view. 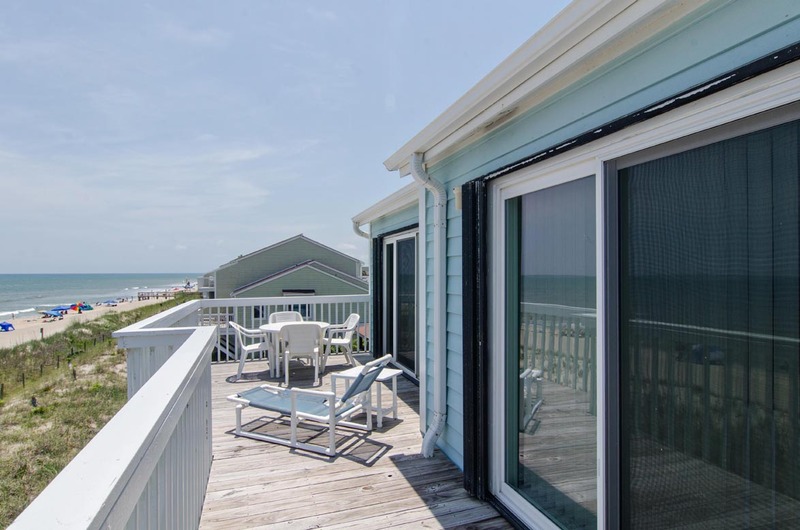 Oceanfront deck area accessible from both the living room and master bedroom. Oceanfront living room with sleeper sofa. Oceanfront living room with sleeper sofa. 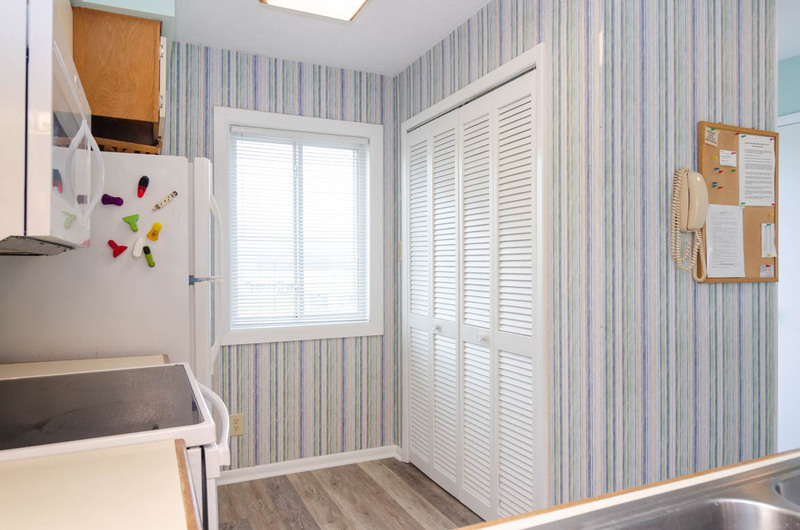 Dining and kitchen areas. Kitchen with bar seating. Kitchen. Kitchen. Kitchen. Wet bar just off dining room. Wet bar just off dining room. Guest bedroom with 2 twin beds. Hall bathroom. 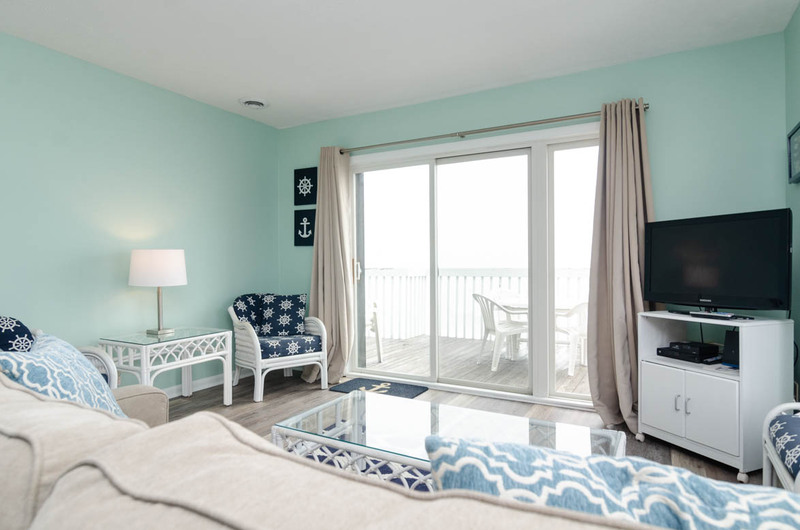 Oceanfront master bedroom with queen bed, private bathroom and deck access. 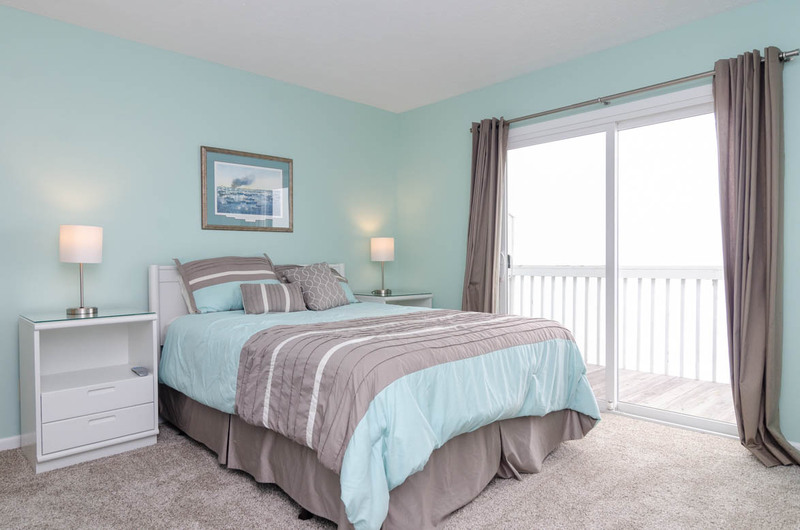 Oceanfront master bedroom with queen bed, private bathroom and deck access. Master bathroom. Oceanside view of condo building. Oceanside view of condo. Community beach access. Community beach access. Beach area. Beach area. Community pool. Ocean Dunes Recreation Center with indoor pool. Ocean Dunes Recreation Center with indoor pool. 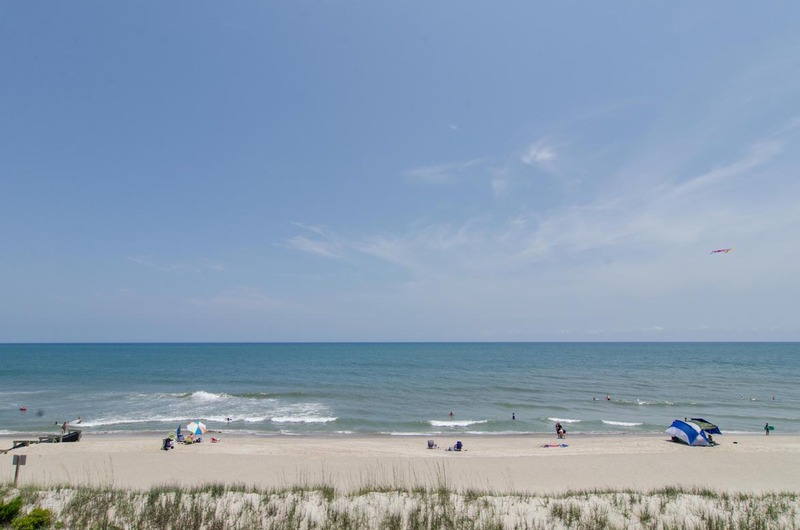 Ocean Dunes Recreation area. Ocean Dunes Recreation area. 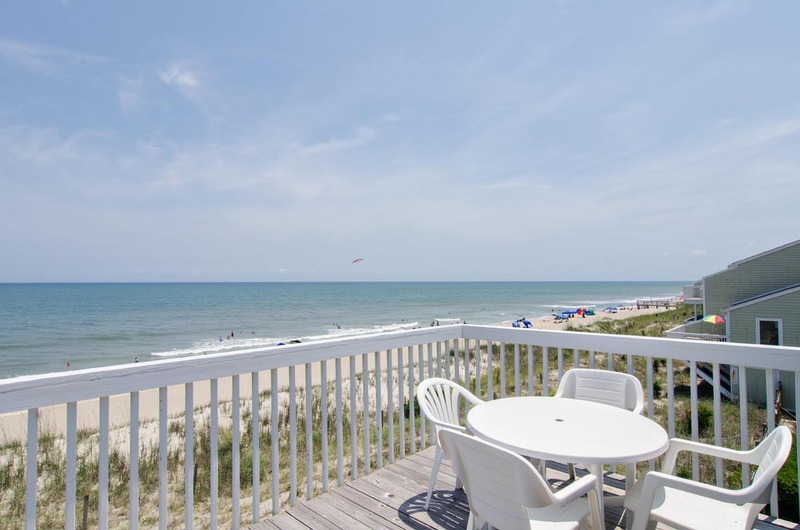 Get ready to make a lifetime of memories at Ocean Dunes, located on the south end of Kure Beach. This is truly the perfect year-round vacation spot for families, and our most popular vacation destination. 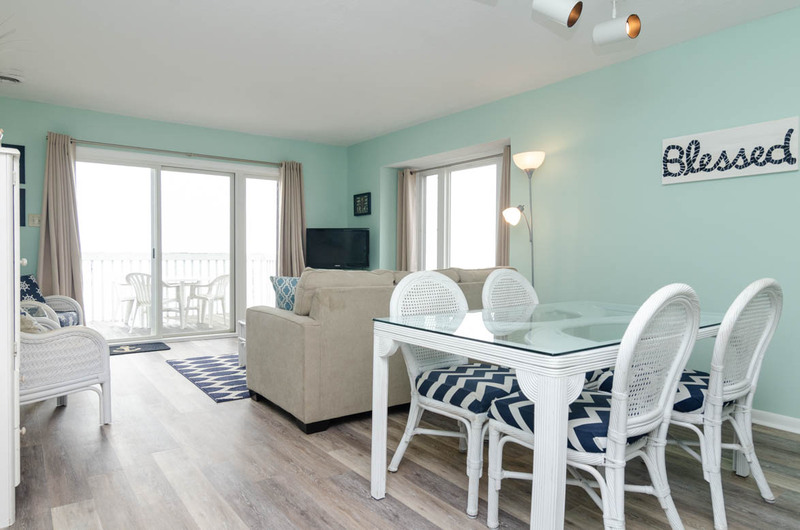 This 2-bedroom, oceanfront condo is perfect for a family of 6. 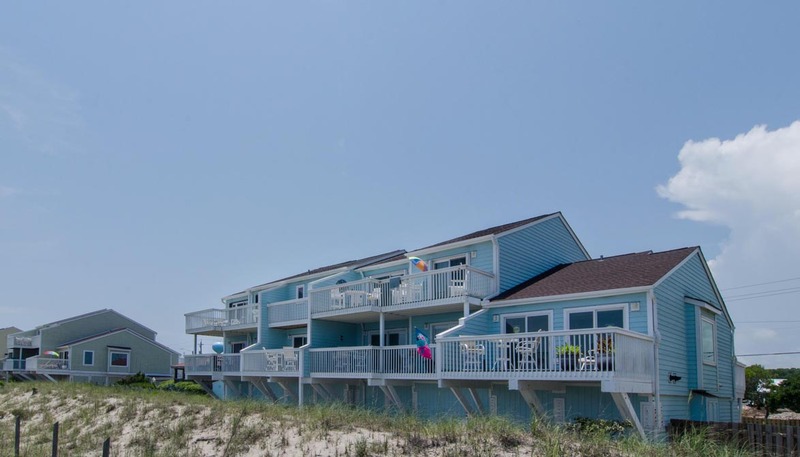 The kitchen, dining area, and Living room are oceanfront with great views of the Atlantic. 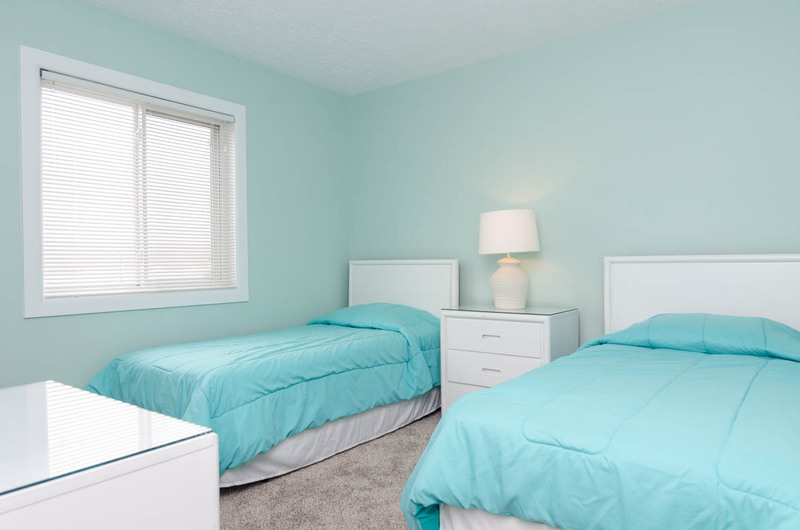 The master bedroom features a queen bed and the second bedroom has 2 twins. Each bedroom has a TV but cable is not hooked up, they are for DVD's only. Every member of your party will find something to be excited about at this family resort. 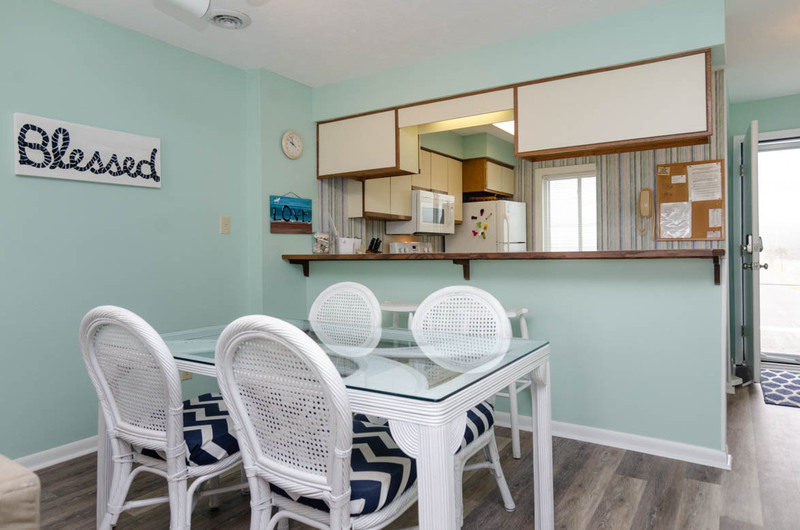 Choose from a vast array of activities such as: outdoor and indoor pools, Jacuzzi, exercise facilities, tennis courts, shuffleboard courts and sauna. There are also private walkovers that lead directly to the beach. 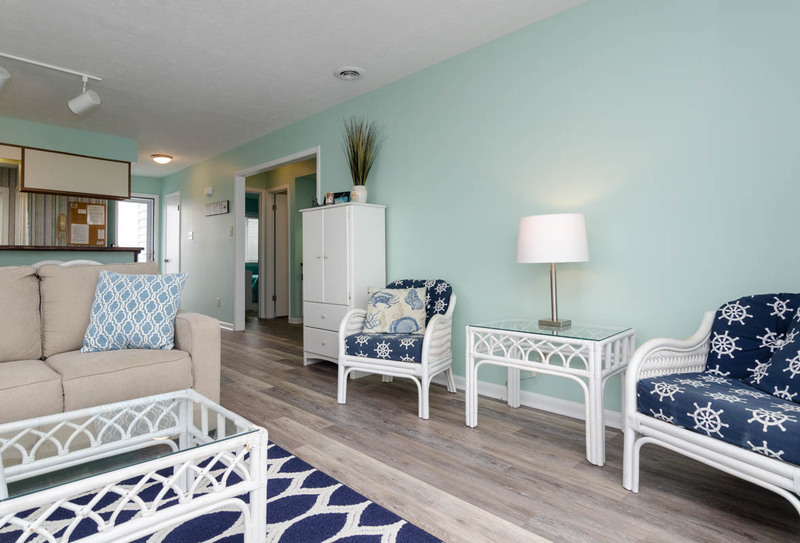 Whether soaking up the rays on the beach, lounging on the oceanfront deck or taking the family to the nearby aquarium, you are sure to enjoy your stay at Ocean Dunes in picturesque Coastal Carolina. This is a non-smoking unit. No pets allowed. Sleeps 6. Hi Richard- thank you for your feedback. I'm so glad to hear that you enjoyed the unit! However, I'm sorry to hear about all the maintenance that took place. I can imagine that was disappointing. At least you had great air conditioning the rest of your stay which, as you know, is crucial down here in July! Thanks again- we hope you have a great summer! Upgraded door with keyless entry upgrade made check in simple and no worries about keys. 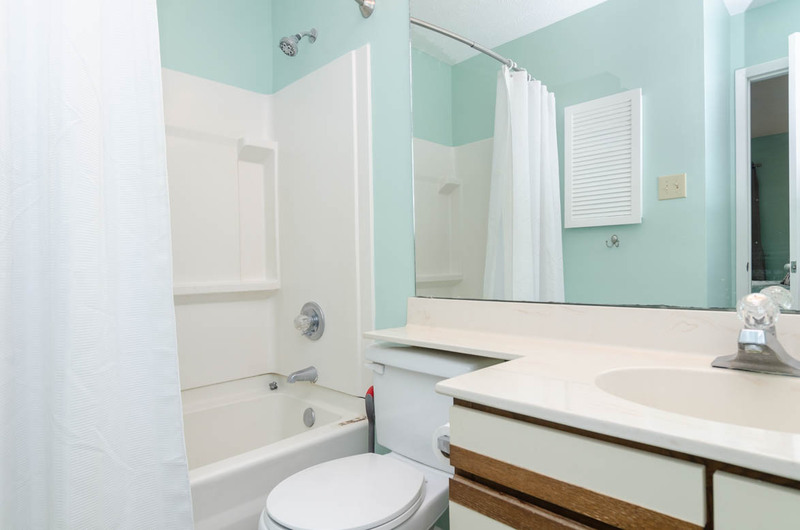 Location is excellent and complex is clean and quiet. I've stayed at a lot of rentals over the years - and this time I needed a quiet place for some much needed solitude. I found it in this nice little spot at the far end of Kure Beach. Place was spotless, clean linens, all I needed in the kitchen to fix all of my meals for a week.I discovered Vinny's and Gulfstream Restaurant (breakfast!) for 2 meals out. The view was the most amazing - high tide is right across the small dunes with the view right outside the large sliding doors to the back deck. The grand view though is on the top floor corner deck looking over the rails. 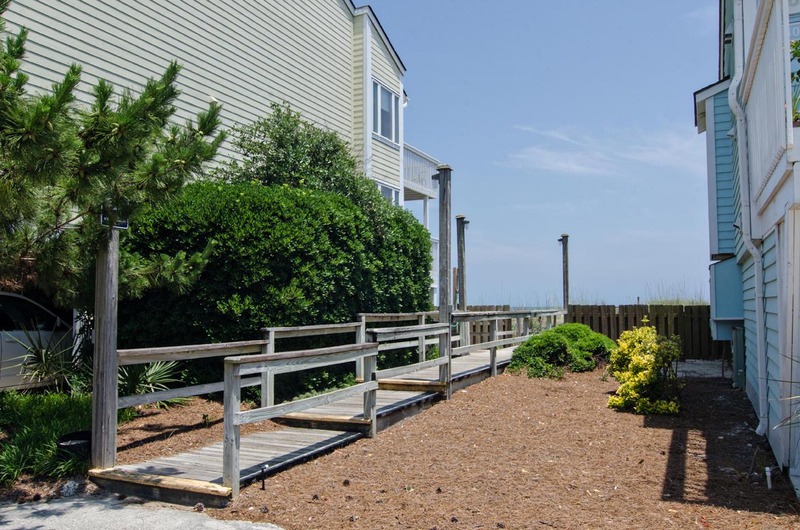 I will definitely return in the warmer months to use this back deck more (too cold this time around) plus the pool in the front (it does not ruin a great view of the ocean). Master bedroom has its own set of sliding doors and view. Owners have good taste in style for a beach home. Bryant Real Estate worked with me very professionally to secure the dates I needed and then checked to make sure I had what I needed, etc. ; checkout was the easiest I've ever had. I had zero problems during this stay and that is saying a lot! I'm coming back with my grandchildren next. Donna we appriciate your review and we will be glad to share this with the owner. We hope to see you next year. Nice, clean accommodations. Everything worked, pictures as shown. Great quiet location. Great view and beach access. Screen door broke for second year in a row. Will stay here again because of view, access to beach and pool. Thank you for your review. The owner has approved a new style screen door to replace the one that keeps breaking and housekeeping will assess the kitchen supplies. We appreciate your input and hope to see you next year. We had the best time! 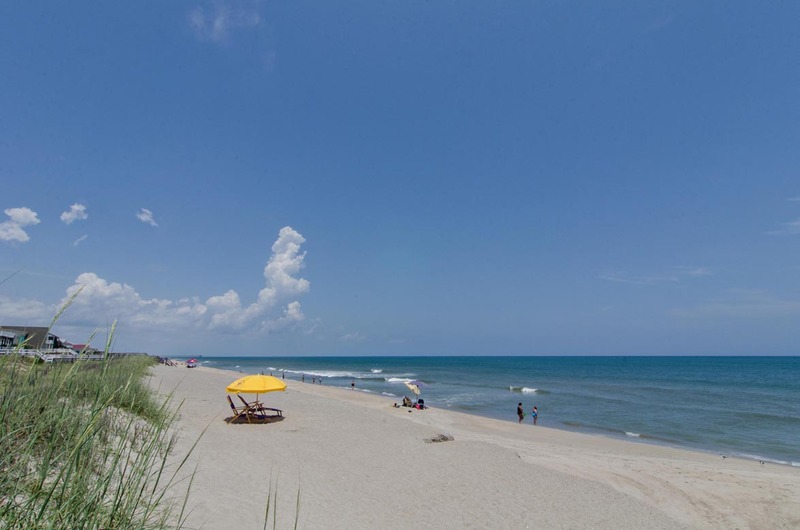 Was our first time at Kure Beach using Bryant Real Estate. The staff was great! They were both kind and personable. I would definitely recommend them. The property was very nice and clean. Only suggestion would be "high top" table and chairs for a better view off the deck. 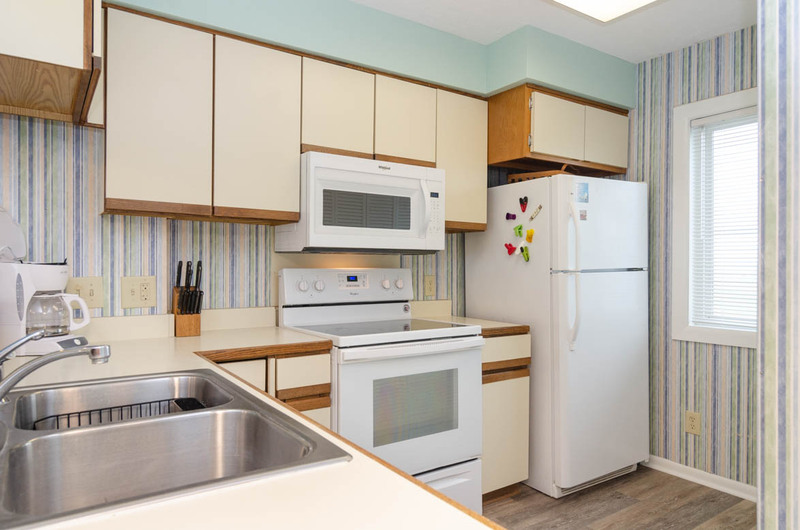 This condo was in a great location! 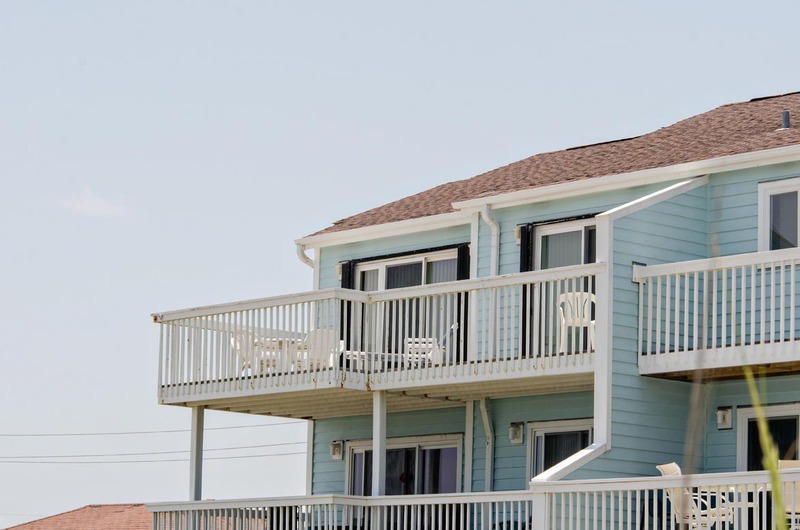 Beautiful views, next to the pool and beach access, clean, well stocked, and roomy. The condo was very clean. Some wear on the exterior. The high winds blew the rain under the slider in the Master BR. Two bulbs out in the Master bath. A great place to watch a hurricane! My wife and I thoroughly enjoyed our weekend at Sea Suite. The condo was immaculate. Location was great. Great views from every room. The folks at Bryant could not have been more professional and helpful. We will definitely do it again. Weather couldn't have been better. Kite festival was really fun. 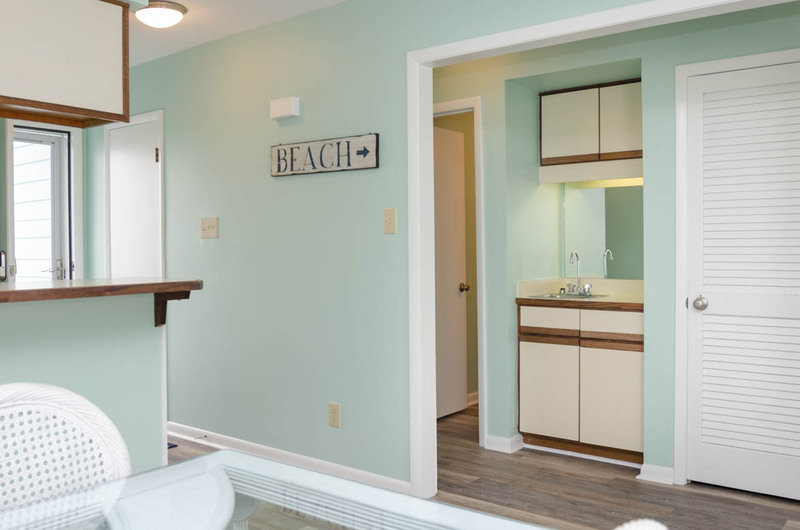 Condo was nice and clean , what I was disappointed about was the walk way to the beach. Rented because it was so close to beach and not have to walk along way to beach, but the stairs were blocked by sand and had to climb the dune along stairs, that should have been a liability to the complex. Maintenance saw us and I thought they said they were coming back to open the stairs but didn't do anything while we were there at complex.we would have had to walk 1/4 mile each way to get to other stairs, this was not a good experience, because I have a slight problem with walking at this time. Danny thank you so much for your review and we are glad you enjoyed the condo. Although it is imperative to renourish the beach due to errosion and storms, it was unfortunate that it happened during your stay. We hope that you will consider Bryant Real Estate for you future vacation needs. Would go back to this particular unit. Fantastic views. Very good experience. Just a glitch on check in getting the keys. Our two month stay has been very pleasant. Even on cool days There is much to enjoy, including the recreation center. The view from this two bedroom condo amazed me every day. It was Beautiful! We enjoyed having the pool so close, though you can occasionally hear others enjoying it too. The condo was the perfect size for a family of 4. Our only complaint was having only 3 towels for a four people, but that's not the condos fault. We had a fabulous week! Our family of 3 rented the Sea Suite condo for our spring break vacation. The views from the living area and master bedroom are amazing. Being an end unit with the ocean view out the side window really opens up the space and brings in lots of light. This unit is older but nicely decorated, well cared for, and everything was in working order. It looks just like the photos in the listing, but the views are phenomenal... a photo just can't do it justice! We walked the beach every day, and there's an access walkway located at the north side of this building so it's close and convenient. One of the outdoor pools is just south of the building ... Closed while we were there, but would be great if visiting during the summer. We had sunny days in the upper 60's and low 70's during our visit ... Perfect for this family from up north! We went to historic downtown Wilmington for a day, but otherwise found plenty to do nearby ... Fort Fisher, NC Aquarium, Kure Beach pier and walk, Carolina Beach State Park, Carolina Beach pier and boardwalk. I would've been content to stay put and enjoy the beach and a book everyday, but it's great to get out and see the sights. There are great restaurants nearby ... we really liked Freddie's and Havana's. The management company was a pleasure each time I dealt with them. We arrived late in the evening, and the after hours key pickup process was quick and easy. 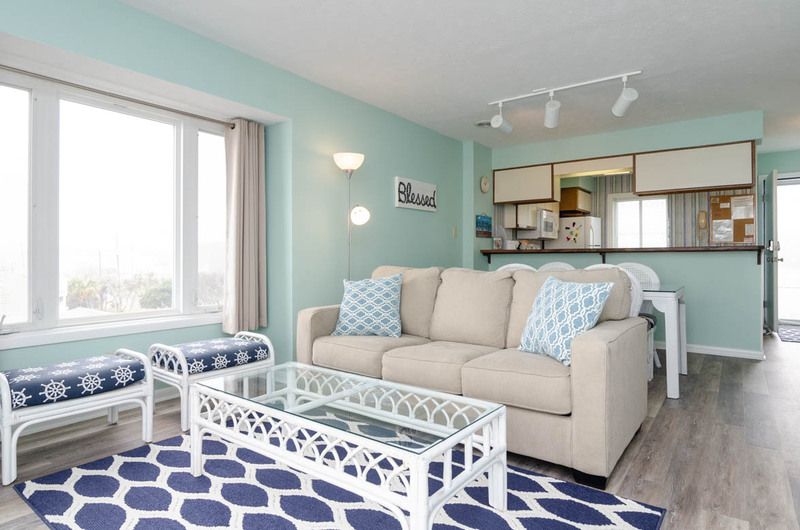 We'd definitely recommend this vacation rental and would love to return someday! The location was absolutely perfect - great view and easy walk to the beach. The unit was a little tight for five of us and a bit dated - but overall a good experience. Very pleasant place, calm and right in the ocean. We loved it!!! Great location. Away from crowds. Wish the table on the balcony would have had an umbrella due to the fact that you get direct sunlight until the afternoon. 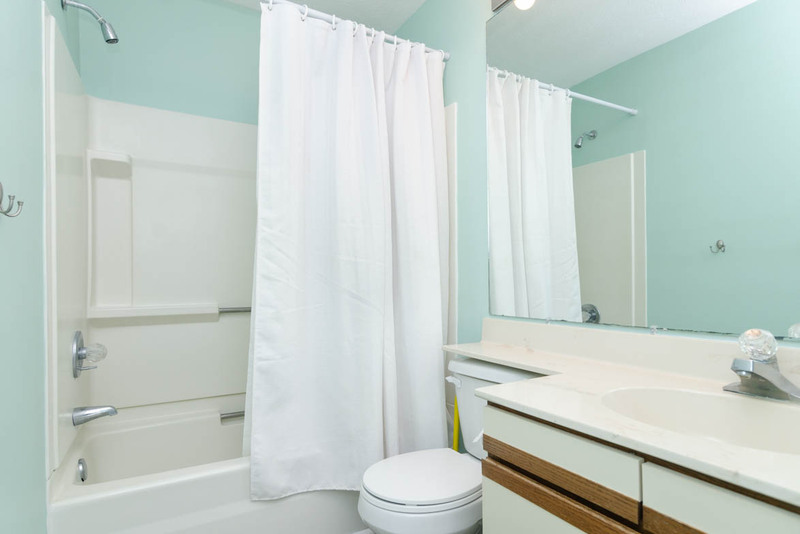 The unit was found as described.Clean & well furnished .Screen doors and deck railings need maintenance and rod for hanging towel in master bath room would improve guests' satisfaction . Management found to be responsive to any short falls . Unit's location is excellent..I certainly would rent same unit in future visits .